Along with Exchange OST Offline to Adobe PDF, the tool convert OST files in more than seven file formats. Give details to such as title, collection path & description to create new one. 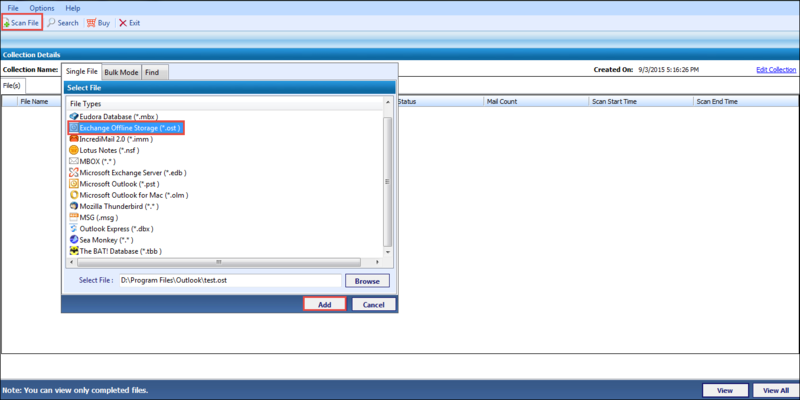 Click on scan file option to select Ost as input file type and browse file from local pc. Software provides 8+ preview modes to analyze scanned data. OST file to PDF software provides advance search option to find any important mail from husk of junk mails. Select desired emails and right click on them for selective conversion. For bulk export, click on export option given in top bar. Choose output file as PDF and then apply options to optimize result. Save file desired location. Click on OK to end the task. I have used the email client in conjunction with exchange server. The email client stores the data in the file format which cannot be accessible on any other platform. But I want to access it on another device urgently for the legal purpose. I looked up for the solution on the net, but I did not find any solution to perform such type of conversion. I have the collection of about 3000 emails file which requires being changed. There are certain problems which have to face while converting email data of one email client to other. Will it be possible to convert email attachment as well to pdf format? Can we convert OST data in the batch manner? Are there any restrictions imposed on the product to restrict the size of OST file? Does the tool require the live exchange environment to perform the conversion? Is there any functionality available to remove the duplicates items? Can I setup the margin of pdf documents before the conversion? How many emails can I covert using this tool in one go? You can convert any numbers of emails using the Converter tool Also, you can convert multiple OST file to PDF using the tool in bulk. Yes, you can view and analyze the emails messages as well as the attachments along with it. OST to Adobe PDF Software is equipped with seven different viewing modes to view and analyze the emails. What is maximum size of the OST file that I can convert using the tool? You can convert OST files of any size using the tool. Number of files or size of the file does not limits the conversion capability of the tool. Do I need to install Outlook to access the OST files? No, you need not install Outlook to access OST files. 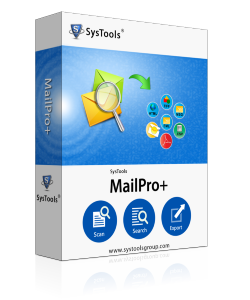 This is a self-independent OST to PDF converter tool capable of migrating OST emails to PDF documents. I'm extremely tankful to the team for the excellent tool 'OST to Adobe PDF Converter'. 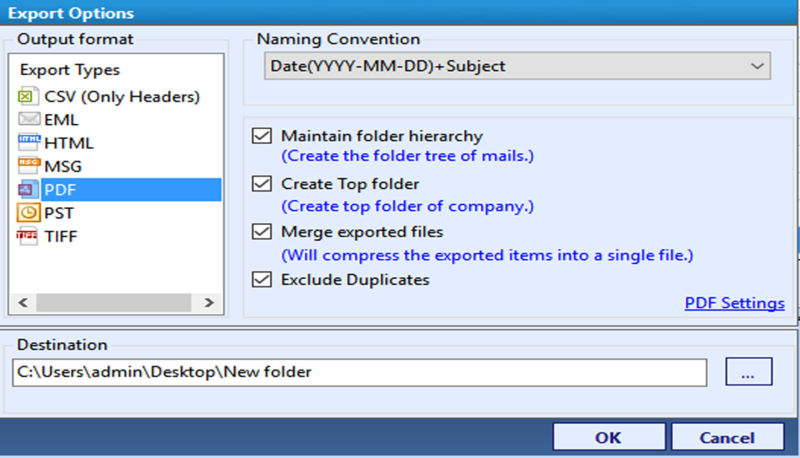 This helped me to convert my 1000+ OST emails to the PDF documents. So that now I can access the important emails from any platform. Thank you guys! The OST to Adobe PDF converter application is an excellent tool to migrate OST files to PDF documents. The most attractive feature of this tool is the custom search option. This helped me to select the required emails from the bulk within seconds. Great work!